Does Humboldt know its sleaze, or what? The ink was barely dry on our Sleazy Campaign Ad contest when the first contender was dropped off at our office, courtesy of Brian Connors of Eureka. Brian was at work when we got back in touch, so he couldn't take time to explain all the sleazy points he saw in this thing. 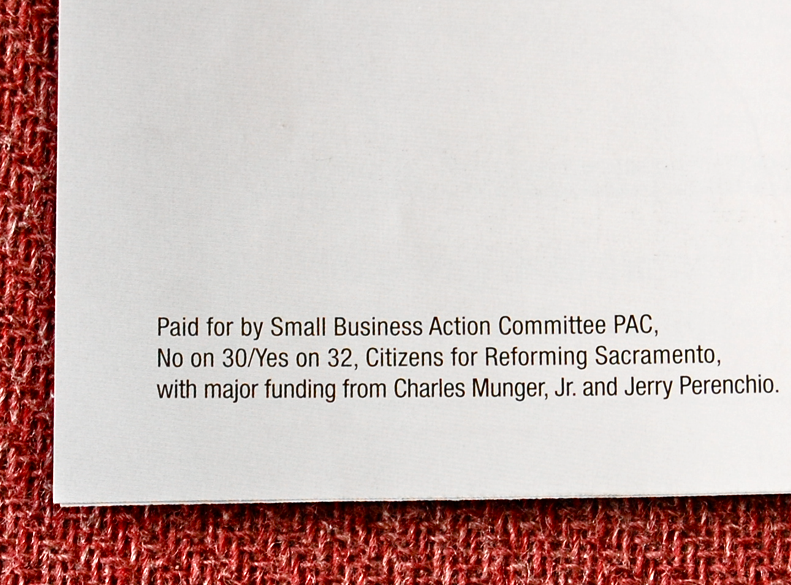 But he is hardly alone in calling out some of the lies being repeated in this four-page mailer from something called the Small Business Action Committee. Proposition 32 would ban unions and corporations from using automatic paycheck deductions to raise money for political purposes. While that might sound like a balanced way to blunt big-money politics, this initiative would hit labor unions disproportionately. Corporate interests are increasingly dumping money into independent expenditure campaigns, which Proposition 32 would not touch. Nor would Proposition 32 stop scam nonprofits from influencing elections. Indeed, this initiative is now the beneficiary of one." 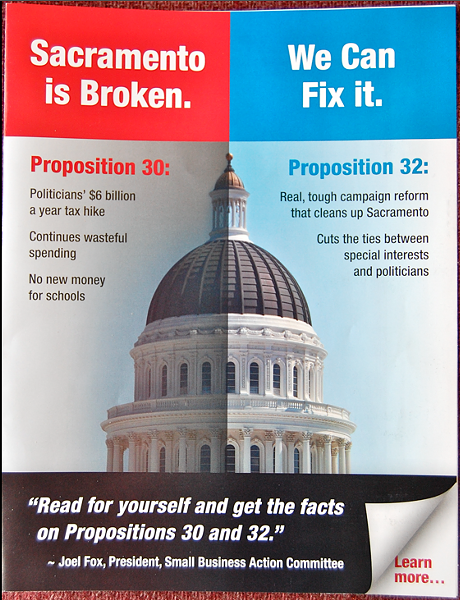 And then there's this little bit of fact-checking from the San Jose Mercury News, which tackles a TV ad but debunks the same phony claim this mailer makes about Proposition 30. "Reallity Check: Anti-Prop. 30 ad is misleading because it implies it won't help schools."